Do you guys feel that Wednesday morning mood? For the days when you overindulge in the snooze button, reach for a dress. I always reach for a shift or a sheath dress because it's literally a quick outfit - that can get me over the hump day. So, I wore this printed sleeve shift dress from my September stitch fix box. For added polish, I slipped into a pair of chic lace-up cut-out oxfords. This huge wristlet bag can hold all my stuff in it and can also be turned into a cross body bag if I am running errands. You look stunning ! Love the pop of colour in the clutch bag adds a playful feel to the look. These photos are GORGEOUS and I am loving that dress on you!! Love the details!! Also, I now think I need a yellow bag! Too cute! Cute dress! It looks so comfy. That bag also looks great with the dress. I love dresses! This one is super cute! 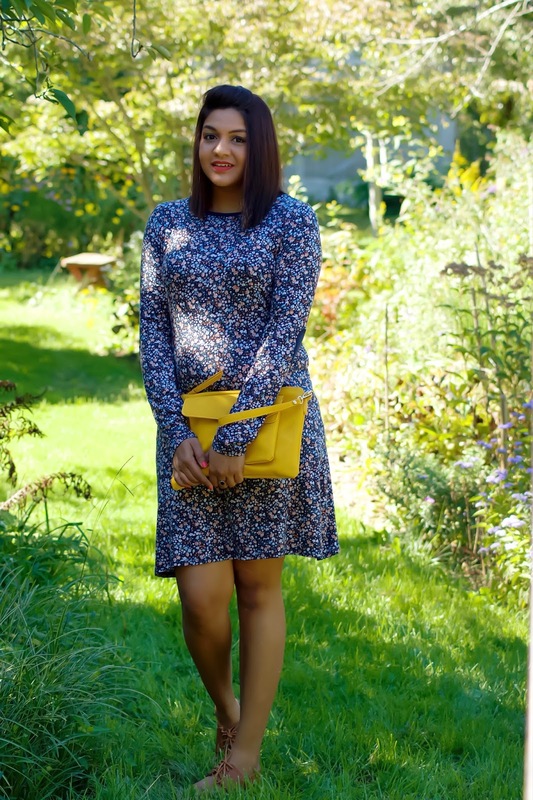 The blue toned dress and your yellow purse look so fresh together. Such a fun sheath dress! Love how you added the yellow clutch for the perfect pop of color. What a gorgeous look babe <3 I am absolutely loving the dress! Gorgeous looks and love the clutch bag, it looks so fresh and pretty in yellow. Love the yellow purse as an accent to the outfit! Patterns are my jam! And that yellow just makes the outfit pop. This Is such a lovely dress! You look fabulous! This dress is gorgeous on you!! Love the pop of yellow!! I tried Stitchfix once and really liked the jewelry they sent me but not so much the clothes! 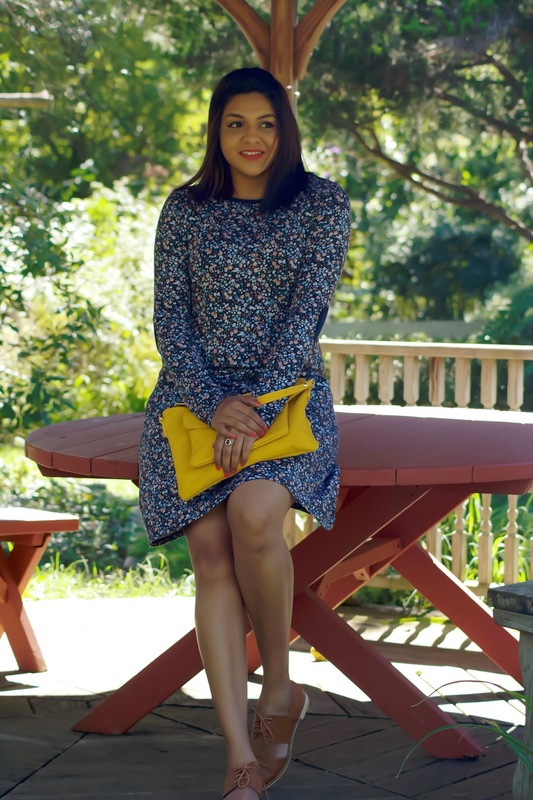 This dress looks great on you though and the yellow bag is such a cute accent! LOVE that dress! Floral is so my style! such a cute dress and love the pop of yellow! I love this floral print. The yellow purse adds a beautiful pop of color. Love that!! And those shoes are so cute!